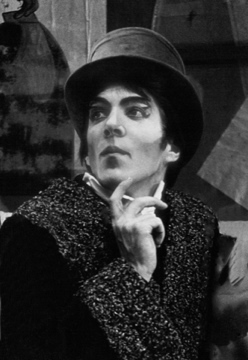 A series of photographs of the artist's dance career in New Zealand and overseas. 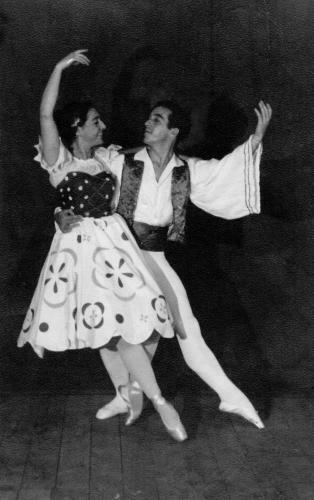 Partnering his late wife Nahleen in the ballet "Night in Vienna". The company in front of the VW Combi van the some of us travelled in. It was a life on the road and I doubt whether there is a small town in NZ that the company left off its itinary. I am in the front far left. 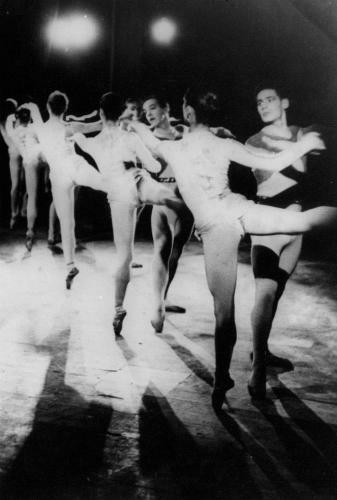 The Judgement of Paris 1961 was choreographed by Anthony Tudor and produced for the company by Peggy van Prague director of the Australian Ballet. I am seen here with Gloria Young, Jan Goodyer and Valerie Whyman. 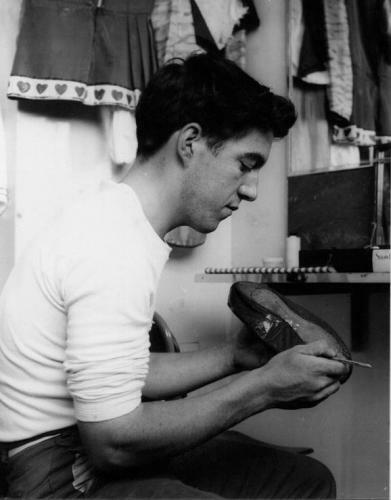 The company's minimal funding meant that ballet shoes were worn until they fell apart. Prismatic Variations 1960. 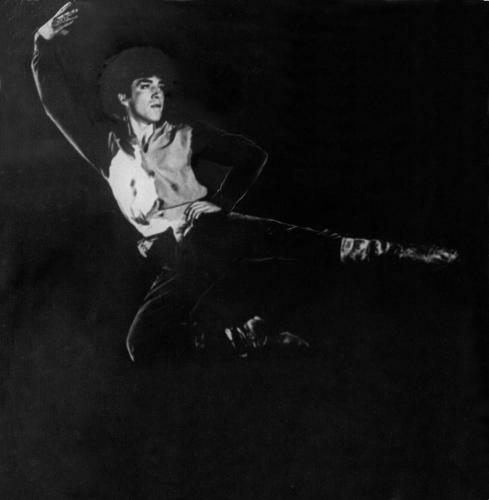 Choreographed by Poul Gnatt and Russel Kerr. I am in the middle of the photograph partnering Jan Goodyer. 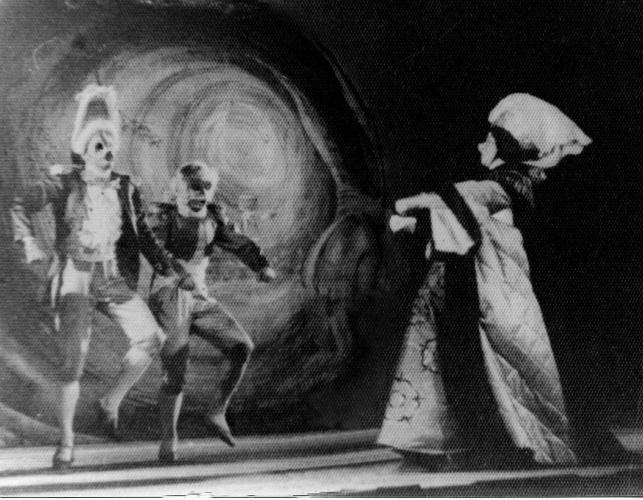 The old couple in the Danish ballet Dream Visions. Nerida Nicholls and me. At the time 'wrinkles' seemed an awful long way away and had to be painted on. 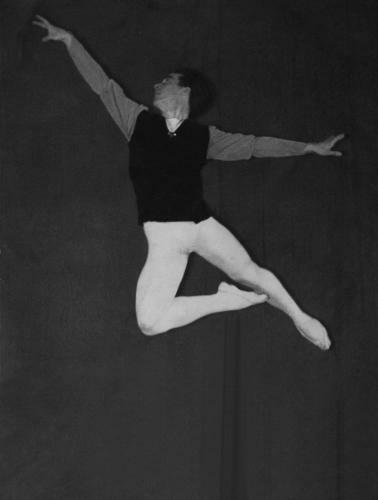 In the ballet '5 Faces of Euridice' one of the roles that I played was that of the great ballet impressario Serge Diagalev. Rehearsing classical a pas de deux with Margot Wilson. 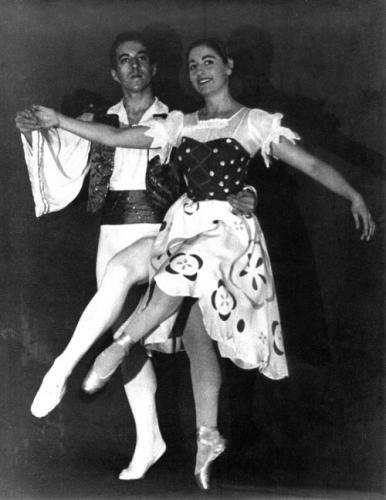 Philip and the late Nahleen dancing together in the ballet 'A Night in Vienna' before they were married. 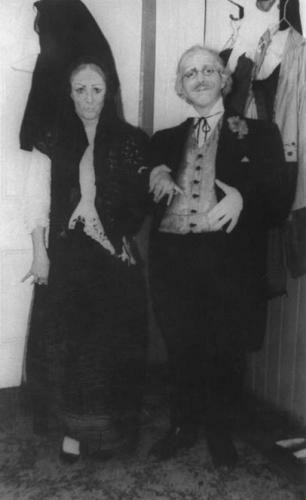 Here I am the 'frog footman' who along with the 'fish footman' was the servant of the 'Duchess' danced here by my late wife Nahleen. 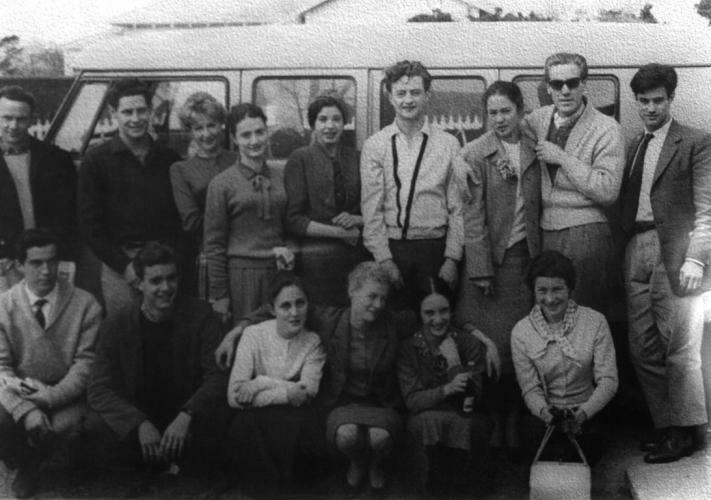 New Zealand Ballet schools' tour 1961. 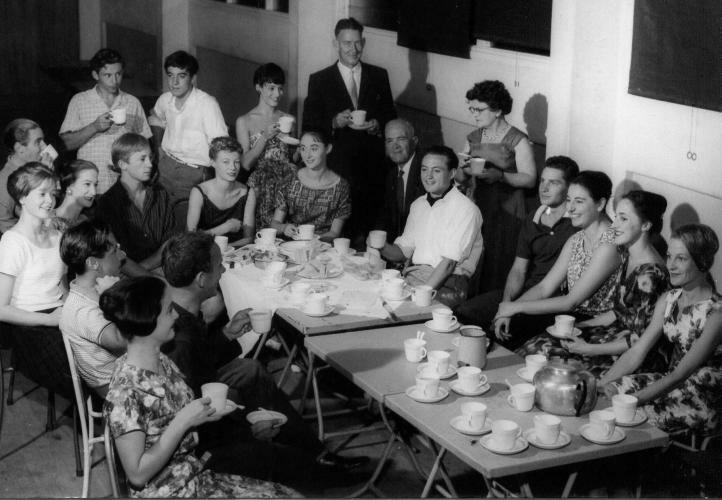 When the company arrived in a town it was met by local dignataries and this usually took place over a cup of tea. I am in the white shirt at the back.